United States Army 3rd Battalion, 75th Ranger Regiment (3-75RR) is a community that aims to provide a realistic simulated special operations environment. The higher objective of which is to create an environment which is conducive to allow growth of its members mentally in teamwork, leadership, and morality. We offer three different routes within the unit you can choose from Alpha Company, 3rd Battalion, 75th Ranger Regiment which is our ground core and muscle. They consist of a rifle company housing three rifle platoons. Secondly we have the 160th Special Operations Aviation Regiment which is composed of one aviation battalion which flies the AH-6M, MH-6M, MH-60M, MH-60M DAP, and the MH-47G Chinooks. Lastly we have the 16th Special Operations Squadron supporting with their AC-130Hs. Direct Action: These Missions are designed to seize, destroy, capture enemy facilities and/or materials. Rangers are trained and equipped to deliver maximum surprise and shock to opponents. Airfield Seizure: The Ranger Regiment is the Nation's premier choice for forced entry operations. The Ranger Regiment's capability to conduct airborne operations into hostile territory is strategically essential to our offensive military power and reach. Special Reconnaissance: The intelligence gathering activities are designed to monitor, find and fix hostile forces for future operations or strategic decision making. Please register and visit our forum where you can apply for the unit and find other important topics! “Let the enemy come till he's almost close enough to touch. Then let him have it and jump out and finish him with your hatchet.” Major Robert Rogers, 1759. The 75th Ranger Regiment, also known as Rangers, is an elite light infantry/special operations force of the United States Army. The regiment is headquartered at Fort Benning, Georgia and is composed of one special troops battalion and three ranger battalions. The regiment is the U.S. Army's premier raid force, with specialized skills that enable them to perform a variety of missions. These include direct action, airfield seizure, airborne and air assaults, special reconnaissance, personnel recovery, and high-value target raids. It operates as a special operations force under the United States Army Special Operations Command. The easiest way to join is to make an account, then click the ENLIST TODAY button to the left of this message. Once you've reached our forums you're going to want to find the Recruitment Station. From there you will click the New Join Application Form and copy the application portion. Lastly you will go back to the Recruiting Station, create a new topic, paste and fill in the information. How long is the Ranger Assessment and Selection Program? RASP takes approximately one week from your initial enlistment..
What is the minimal age? We do have a minimal age of 18, so it's expected that everyone in the unit is vaguely put together as a adult by the time they enlist with us. What is the concept of the unit? The concept of the unit is based around light infantry platoon size Task Forces with a small number of supporting assets to each task force. At its core a realism unit is a role-playing unit. We strive to provide an immersive and professional environment for members to roleplay in and we do this through a unique and structured military experience..
What is the history of 3rd Ranger Battalion Realism Unit? The 3rd Battalion, 75th Ranger Regiment was founded in 2018 by veterans of Armed Assault III. Otherwise known as ARMA III. Many of our members throughout our unit have a military background in active duty, reserve and prior service. 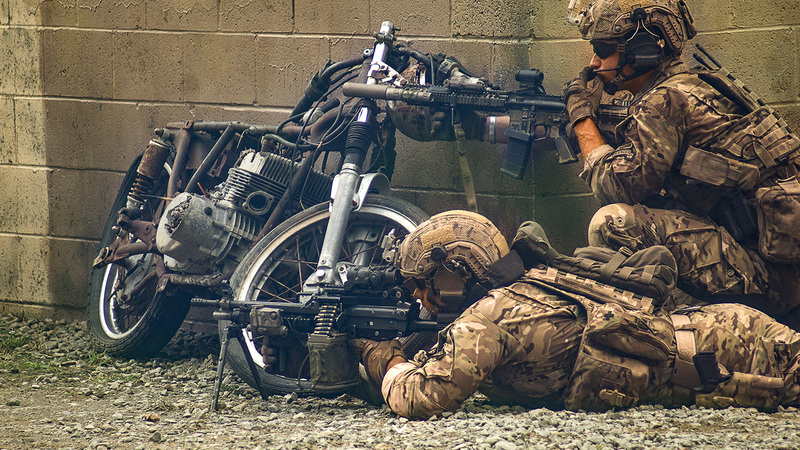 The focus of the unit is Special Operations Light Infantry Combat utilizing realistic military tactics, techniques, protocols and communication. .